Outfit your Buick with Chrome Products by SAA and save 5% OFF! 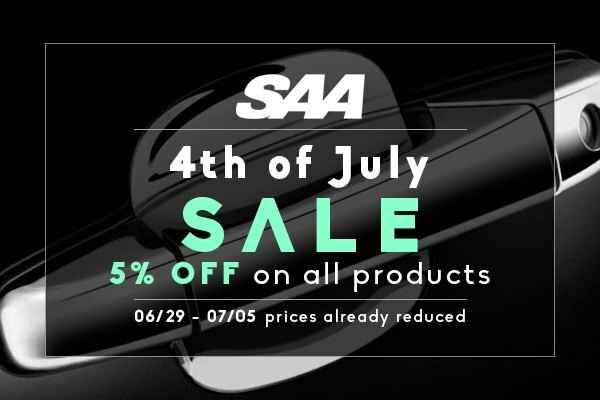 Make this 4th of July even better for yourself and your Buick with the new deal on SAA chrome accessories at CARiD! Buy any stylish SAA product with 5% OFF the original price. Prices are already reduced. Act now, this offer expires on July 5, 2018. Whether you're looking to enhance the style of your ride with a little bit of chrome or want it to shine from all the sides, SAA product line has everything to cover your needs. Pillar posts, door handle cover, gas caps, window sills, mirror covers, fender trims, side vents, headlight and tail light bezels are only some of the products they offer to make your Buick stand out from the crowd. All their products are manufactured using advanced CAD/CAM equipment to ensure laser-cut precision, fit and great looks for years to come. Crafted from the top-quality stainless steel, they are easy to install and maintain. Give your Buick a new, glimmering look with SAA Products from CARiD! Eye-catching Chrome accessories for your Buick Enclave! Quick Reply: Outfit your Buick with Chrome Products by SAA and save 5% OFF!